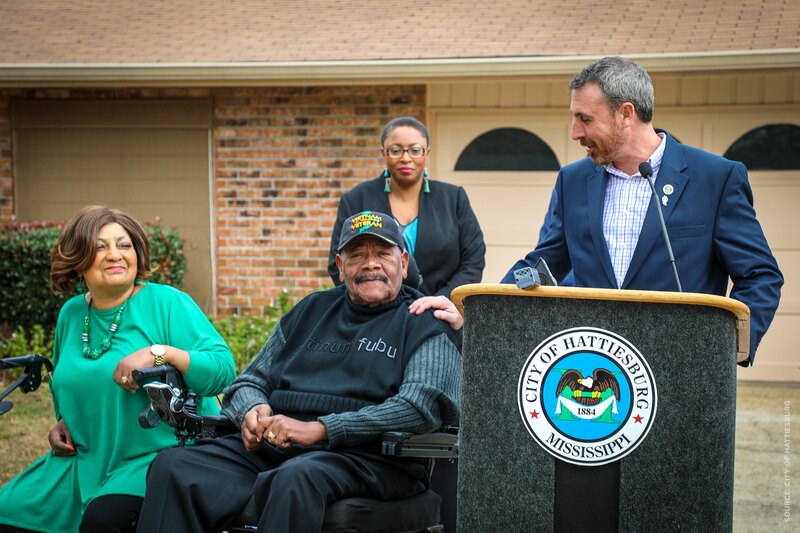 Hattiesburg, Mississippi – On Tuesday, January 15, home renovations for Vietnam Veteran Jasper Perry were revealed to mark Operation Veteran Home Renovation complete in Hattiesburg. With a line of service beginning with his grandfather (World War I) and father (World War II), Perry went on to serve in the Vietnam War with the U.S. Air Force (1963 – 1969) after attending college. “Before enlisting, I wanted to make sure that I received my education and that I’d have the option to continue upon my arrival home,” said Perry. Perry was wounded during Vietnam, which has resulted in paralysis. 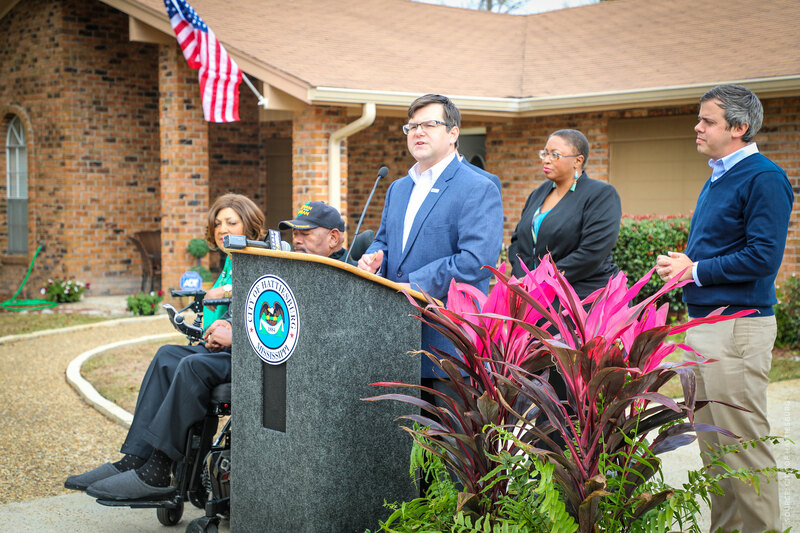 Perry’s home is one of three veterans in Hattiesburg who has received home renovations through this collaborative partnership between the City of Hattiesburg, Purple Heart Homes, The First – a National Banking Association, R3SM, The Home Depot Foundation, the Greater Hattiesburg Home Builders Association and the National League of Cities. He received repairs to his bathroom and modifications were made to his walls for easier access from room to room – making his home handicap accessible. A project that began under Mayor Johnny Dupree’s administration and continues under Mayor Toby Barker’s leadership, Hattiesburg is one of nine cities working with Purple Heart Homes and the National League of Cities as part of “Operation Veteran Home Renovation.” As part of this national campaign, communities provide repairs such as railings, ramps, and grab bars to make sure the homes of veterans are safe and accessible. Volunteers also provide improvements such as painting and landscaping. 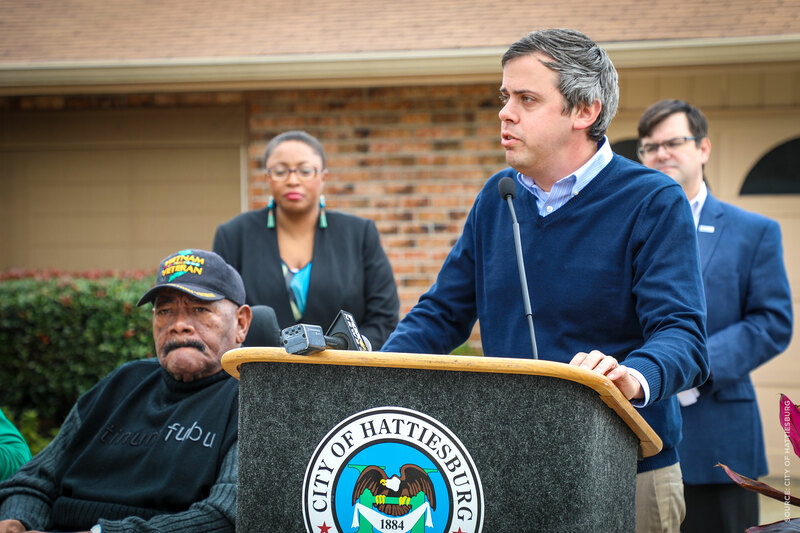 After two years of collaborations and more than $20,000 of collective investment by community partners, Purple Heart Homes will hold a community meeting on Wednesday, January 16 at 8:30 a.m. at the Jackie Dole Sherrill Community Center (220 W. Front Street) to discuss a permanent operation through the formation of a local chapter. 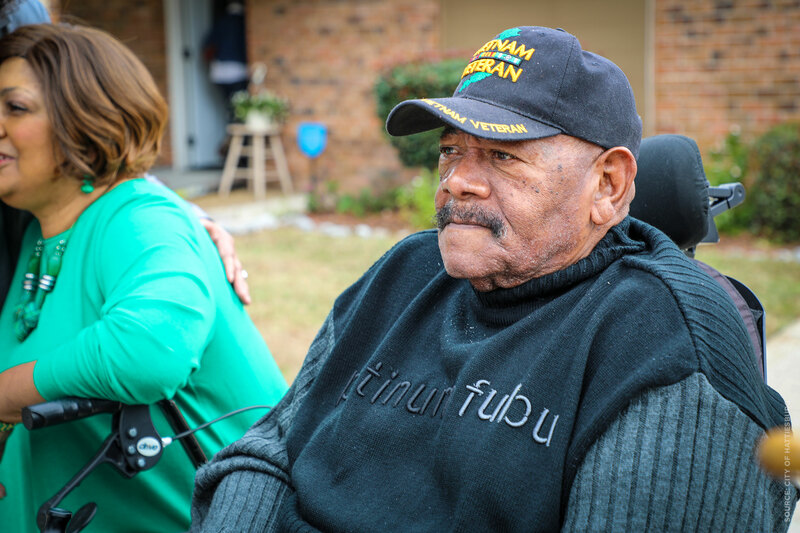 These chapters are a collection of community leaders, organized as a volunteer organization, operating within the culture and guidelines of Purple Heart Homes to aid older veterans. 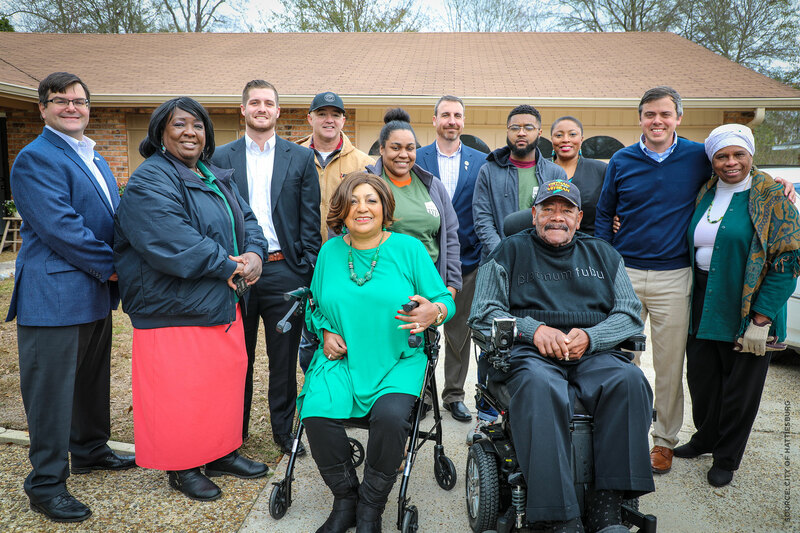 The national efforts of “Operation Veteran Home Renovation” are made possible by The Home Depot Foundation. 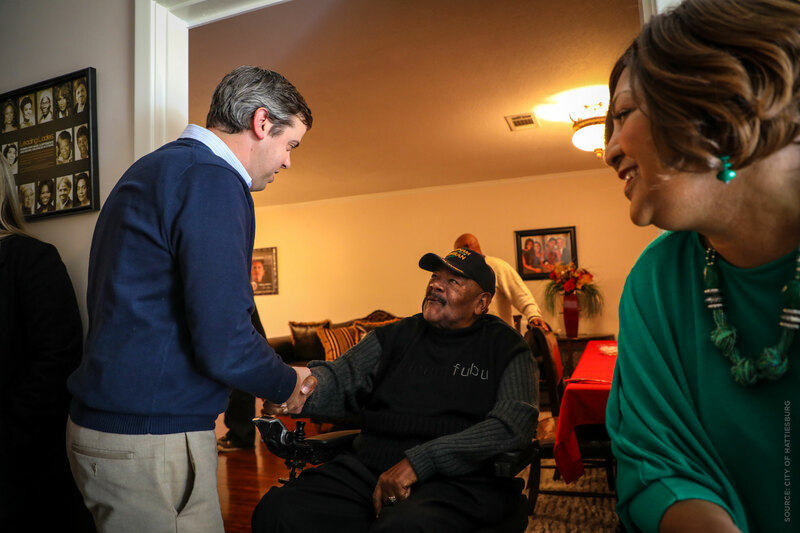 Since 2012, the Foundation has spent more than a quarter of a billion dollars improving more than 37,000 veteran homes and facilities in 3,840 cities. To learn more about how you can get involved visit www.phhusa.org.